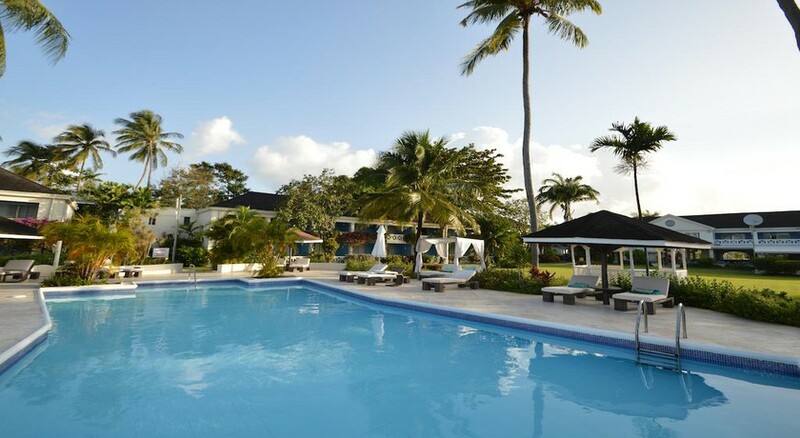 Offering a private beach and an excellent outdoor swimming pool, Discovery Bay by Rex Resorts is one of the best in Barbados. The resort offers 3-star air-conditioned rooms, a lounge, solarium, a stylish restaurant and a 24-hour reception. The spa offers a wide variety of treatments and massage therapies giving you ample opportunities and reasons to relax. The state of the art rooms come with all the necessary amenities. The Discovery Bay by Rex Resorts offers a bar where guests can enjoy delicious cocktails and drinks while taking the spectacular sunset from the outdoor terrace. The property's location allows guests to easily reach many tourist destinations on foot. 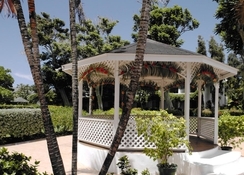 Garrison Historic Area, Lloyd Erskine Sandiford Conference and Cultural Centre, and Barbados Wildlife Reserve are only a 20-minute drive from the resort. 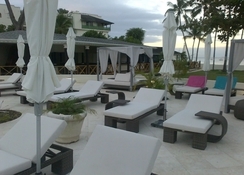 Discovery Bay by Rex Resorts enjoys a beach front location in Holetown. The town is filled with several restaurants, bars and shops that you can explore while on a long lazy stroll. The Grantley Adams International Airport is about 27.3km from the property and takes about 40 minutes to reach. A bus stop to Bridgetown and Speightstown is five minutes from the hotel. The trip to Bridgetown takes about 20 minutes. The spacious rooms come with a balcony offering exceptional views of the Caribbean Sea. The rooms also feature en-suite bathrooms that are well equipped, and come with free toiletries. 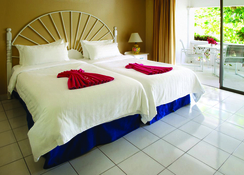 Guests can choose from garden view rooms, beachfront rooms and beachfront club rooms. All rooms come with air conditioning and a safe. The gastronomy offered at the resort’s restaurants and bars is splendid. 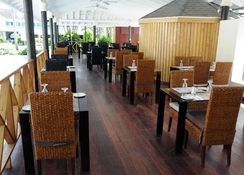 The Garden Restaurant offers outdoor buffet, while the Sugarbird bar & grill offers a wide variety of cocktails. Enjoy a healthy variety of appetizers every day in addition to cocktails and house spirits. Fridays are barbeque evenings here at the restaurant. Once or twice a week, a theme buffet is offered. Discovery Bay by Rex Resorts features a volleyball ground and a swimming pool. You can rent diving goggles, kayaks and stand-up paddles and head out to the sea. The hotel also arranges for lively evening entertainment. The hotel also features a spa and wellness centre that offers a wide variety of massages, sauna and beauty services.